Bruce Peninsula,and Minotaurs @ Horse Shoe Tavern- Bruce Peninsula, the Toronto Based band, with Steven McKay as the drummer ( Click here to read the post). The bluesy rock band is playing with the Minotaurs, who I also featured in this past post! The 24th Street Wailers @ Reservoir Lounge 7 pm-9p.m - the winner of this year's Toronto Blues Society Talent Search is hitting the stage at the legendary Jazz bar, The Reservoir! The Golden Dogs @ Horse Shoe Tavern- Toronto Pop Rock band is a perfect opener for the Halloween weekend! if you haven't checked out their wild energetic performance, you know where to go! ....But I know, a lot of people will be saying that " I can't party out late at night cuz I gotta work on Monday!" I know I feel your pain. I have the typical Monday-Friday job. I have a solution to the problem. Who said that we can't party during the day? Our beloved Toronto indie instrumental band, Escalate! is playing in front of Embassy for the Pedestrian Sunday between 2p.m-4;30p.m. It is gonna be epic! So why don't you make a brunch plan with your buddies and check out the awesome music?? 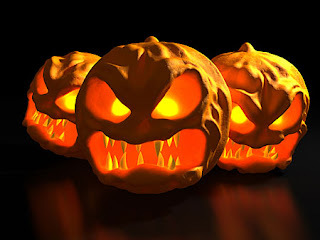 Please feel free to comment on the post if you think you have a better Halloween party idea!